Paul McClelland was a regular on the Ontario highland games circuit in the 1980’s and 1990’s in bands, solos and as an adjudicator. 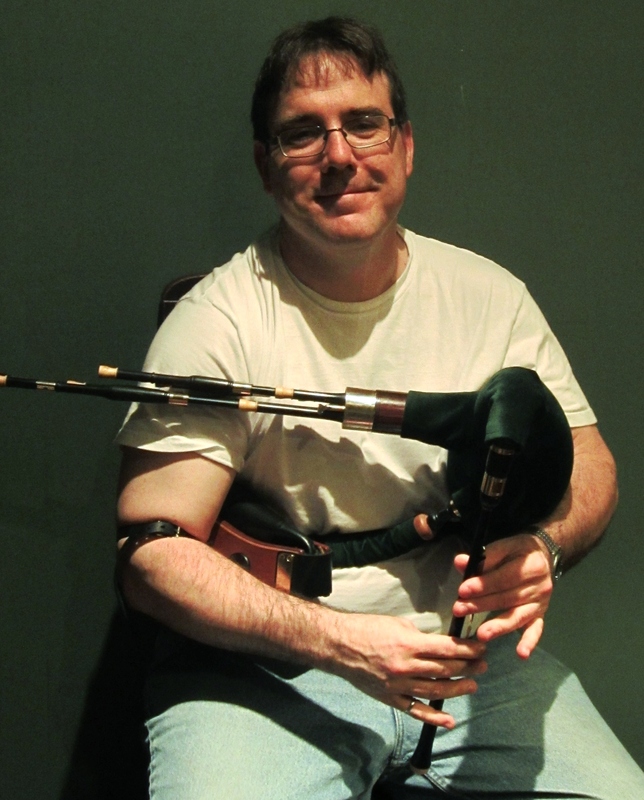 He competed with the Town of Newmarket Pipe Band (Grade 2), Clan MacFarlane Pipe Band (Grade 1) and was Pipe Major of the Capercaillie Pipe Band (Grade 3). In 1998, Paul and his family desired a change in scenery and they emigrated to Scotland. Paul continued to compete as a soloist around the highland games in the far north of Scotland and was lucky to be able to take private tuition from the late Pipe Major John D. Burgess during this time. Paul and his family have since moved back to Canada and they currently reside in Pembroke in the Ottawa Valley. Paul has given up competition in favour of spending his spare time with family and friends, and continues to regularly play for fun as well as teach. Paul’s main musical interests now include bellows pipes, whistles, bodhran and button-key melodeon. Paul is a long-time volunteer staff member at AlgomaTrad….thank you Paul!! Buy tickets to upcoming events. View the complete calendar.